Biomedical research and drug discovery are currently undergoing a revolution due to exciting innovations in biotechnology and advances in stem cell biology. One of these breakthroughs is the use of human induced pluripotent stem cells (hiPSCs) to produce sensory neurons, which are then cultured in vitro on multi-electrode array (MEA) systems, to advance pain research and the discovery of effective pain therapies. Traditionally, in-vitro cell-culture methods have used non-human mammalian neurons. However, it is now recognized that these animal-derived models lack physiological relevance and translatability to humans. Recently a team of scientists working at AXOL has found that hiPSC-Derived Sensory Neuron Progenitors cultured on MEA systems can reproduce the in-vivo behavior and firing responses of human sensory neurons, and then express the typical sensory markers involved in human nociception. This offers a model of human pain perception that is more physiologically relevant than animal-derived models and a viable alternative. Would you like to know how to culture hiPSC-Derived Sensory Neuron Progenitors in your lab? This article will present some top tips from AXOL researchers, helping in your efforts towards more reliable, translatable, and higher-impact research that could benefit the lives of patients around the world. In a recent study, researchers worked with AXOL's MEA chip cell-culture system to culture the hiPSC-Derived Sensory Neuron Progenitors, in conjunction with their Sensory Neuron Maintenance Medium and coating reagents. 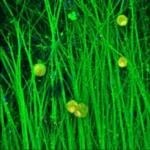 The researchers also followed the AXOL step-by-step guideline for the set up and maintenance of the cell-culture itself, as well as the MEA system guideline for culturing the hiPSC-Derived Sensory Neuron Progenitors on an MEA system. One essential part of the protocol is to remove the non-neuronal population. This allows for a more homogeneous population of sensory neurons and is easily done by adding mitomycin C to the Sensory Neuron Maintenance Medium once the culture has been established for two days. The full effects of growth arrest should be seen after seven days. It is important that the hiPSC-Derived Sensory Neuron Progenitors are maintained in the Sensory Neuron Maintenance Medium (containing growth factors Glial-Derived Neurotrophic Factor (GDNF), Nerve Growth Factor (NGF), Brain-Derived Neurotrophic Factor (BDNF), and Neurotrophin-3 (NT-3)) for a minimum of six weeks before beginning any experiments; although sensory neurons should start to mature after just five weeks in culture. Outlined below are AXOL’s expert research partner’s five top tips to help you transition from traditional animal-derived cell-cultures to more physiologically relevant hiPSC-Derived Sensory Neuron cell-cultures, and make the process as easy as possible. 1. What types of cells will you see? Around 24 hours after thawing vials of the hiPSC-Derived Sensory Neuron Progenitors, two types of cell under the microscope will be visible: fat, rounded neurons and darker, flatter cells. Often more of the flat cells can be seen, because the hiPSC-Derived Sensory Neuron Progenitors are embedded in these, however don’t worry; the mitomycin C growth arrest treatment will get rid of these flat cells. 2. What happens after mitomycin C treatment? Significant cell death after mitomycin C treatment, which targets the flatter, darker, proliferating cells, is normal and not a problem. This makes way for a more homogenous population of hiPSC-Derived Sensory Neuron Progenitors (i.e., almost 80-90% pure sensory neurons). The typical process is as follows: starting at day five of cell culture, until around day ten, the darker cells will start to die and debris will appear on the healthy cells. After day 10, the sensory neurons will start to be more prominent in the culture, with neurites becoming thicker from day 15 onwards. By day 15, flat cells will be almost non-existent too. 3. How to ensure the best results from the mitomycin C treatment? It is always advised to make fresh mitomycin C for each addition of mitomycin C to the Sensory Neuron Maintenance Medium, to ensure the best results. 4. Don’t mistake hiPSC-Derived Sensory Neuron Progenitors for dying cells! Under a phase contrast microscope, hiPSC-Derived Sensory Neuron Progenitors appear somewhat rounder, have larger somas, and are lighter in color than other neuronal subtypes; it is easy to mistake these for dying cells, so make sure you are careful! 5. What will the sensory neurons look like after long periods in culture? Neurites will become thicker and longer, and somas will become more spaced out with longer culture periods (approximately five to six weeks in vitro). 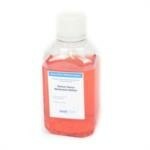 Axol specializes in human cell culture.